Drake links up with 2 Chainz and Big Sean for his newest single "All Me", off the upcoming album "Nothing Was The Same", dropping Sept. 17th. Track produced by Key Wane and features an intro from Aziz Ansari. 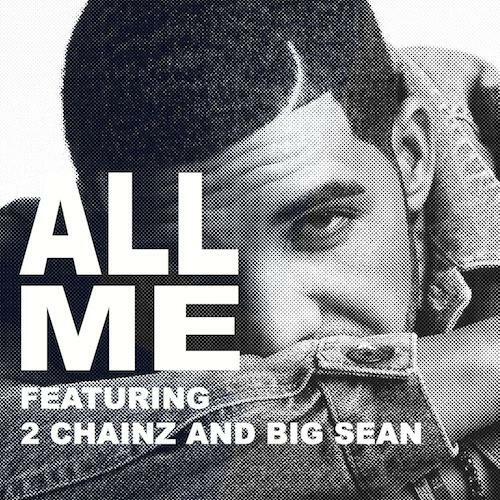 Drake's future brightens with every new release, and All Me certainly isn't an exception. It's a fitting addition to a solid catalogue that Drake has been developing since stepping foot in the game. We're excited to hear more. Check out Drake on Hold On We're Going Home (Radio Rip). If you're down, make sure to visit his profile page for the newest info, news, songs, and mixtapes.